Our role at Crossover is to support evangelism through Australian Baptist Churches. So in 2017 we have for the second time created an Easter video resource to help you communicate the message of Jesus and the gospel this Easter. This year’s video features Karl Faase explaining how the Easter story gives us an opportunity to deal with regret. Easter is about us getting a second chance, freedom and a new hope in life through Jesus. Please make sure when you share the video, you use the share icon on the video above to share the direct link to the video on vimeo. This would be a more appropriate link to give your friends than directing them to this page explaining how to use it. However you share it with others, use it to help people understand the message of Jesus and the gospel over this Easter period. We are not posting copies of the video to every church anymore. You can download the video directly from vimeo onto your computer, or contact us on 02 9868 9236 or admin[at]crossover.org.au (swap [at] for @) to ask for a copy to be posted out to you for free. 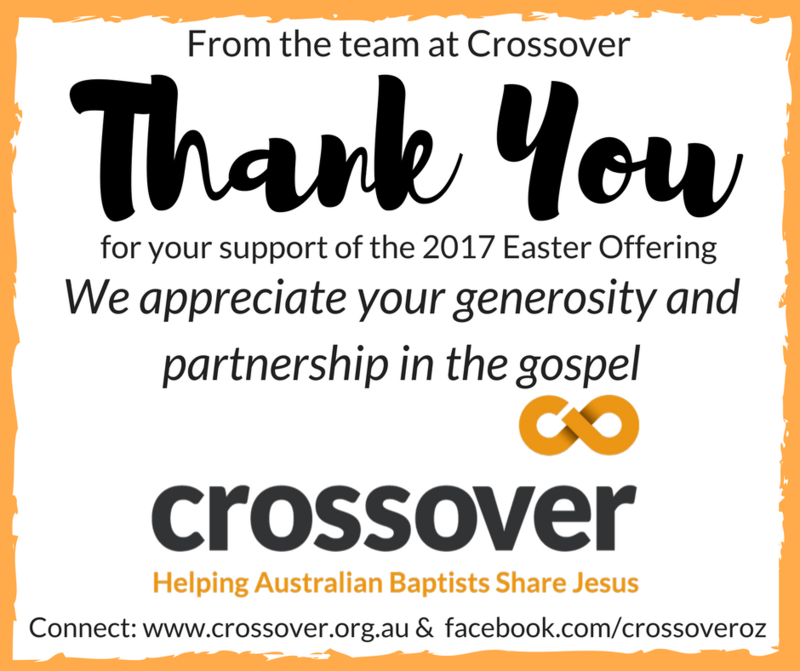 Baptist Churches across Australia have been taking up a special offering for the ministry of evangelism through Crossover for over 30 years. The Easter Offering is the only source of funding for Crossover. We recognise that there are many demands on church finances these days, so we really appreciate the opportunity to partner with you as we seek to resource the body of Christ for effective mission. Churches will receive Crossover brochures that give you background to the offering, more details about Crossover and what we’re doing. This parcel will also include the Treasurer’s form, and 3 Steps for helping you use the video above and offering materials. These resources, and additional ones are available below. Many churches take up the offering in the lead up to Easter, others over the Easter weekend. We have online giving facilities for both churches and individuals, so you can now forward the monies collected to us online if that’s easier than posting a cheque. Click the Support-Give tab to find out more. We’ve created a PowerPoint Presentation to help you effectively explain the Easter Offering in your church service, as there is no video promotion this year.  The notes are included in the PowerPoint file, but we have also exported them into a PDF file for you to use as a script if you prefer.